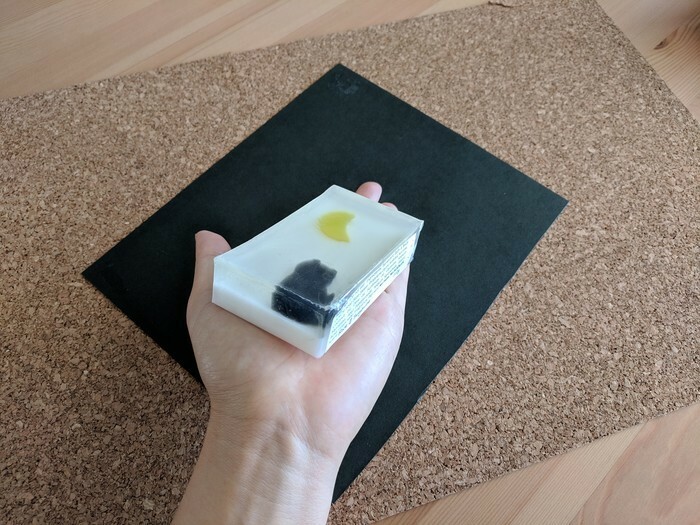 Pretty up your bathroom with this cute soap art. 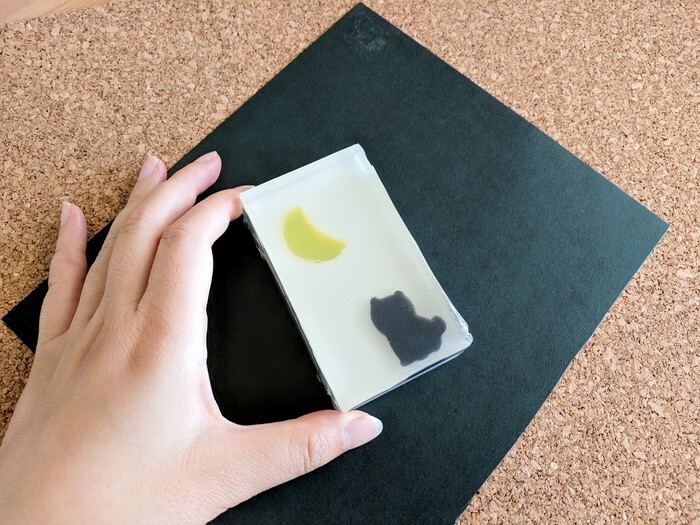 Scented with rose and tangerine fragrance and essential oils, the puppy is coloured with activated charcoal powder, and the white background layer is made with a goats milk soap base giving it some extra creamy lather. 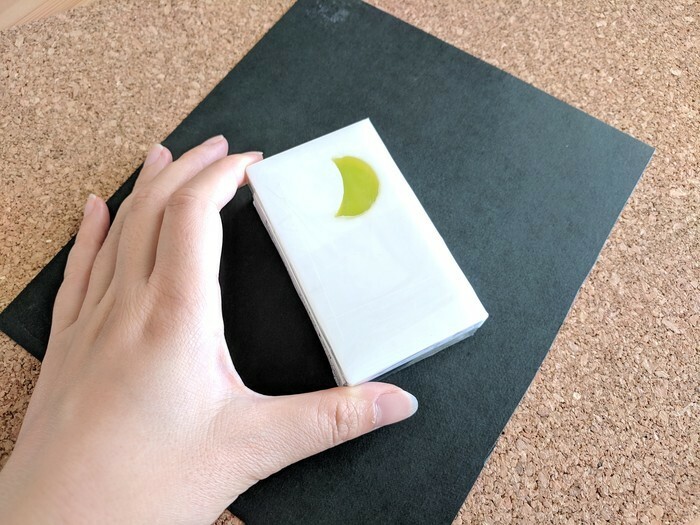 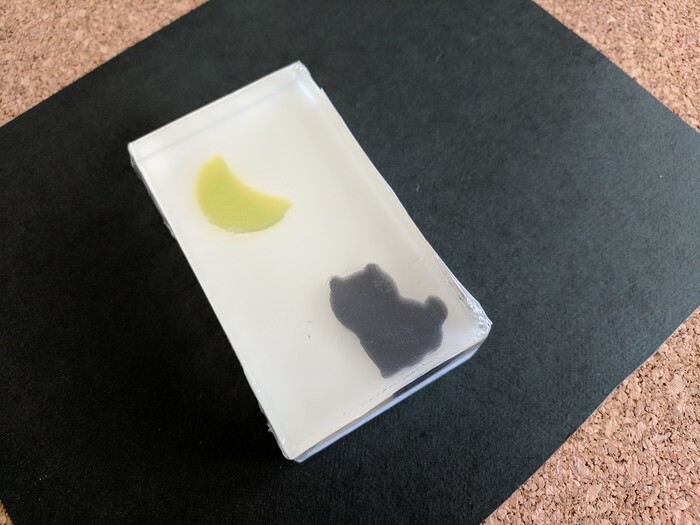 The translucent yellow moon is embedded through to the back the soap, and the puppy is embedded in the middle layer - so you can enjoy the design for longer as you use the soap. 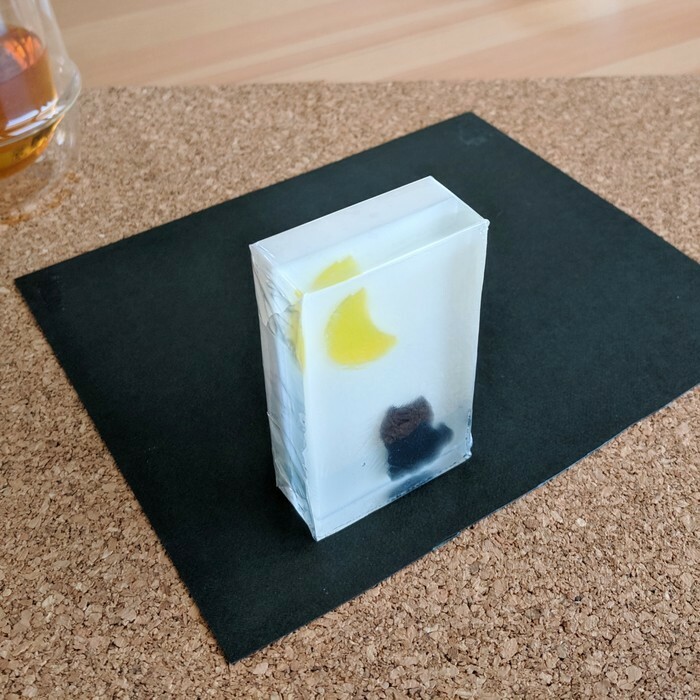 The soap bar is shrink wrapped in cello so you can display it standing up. 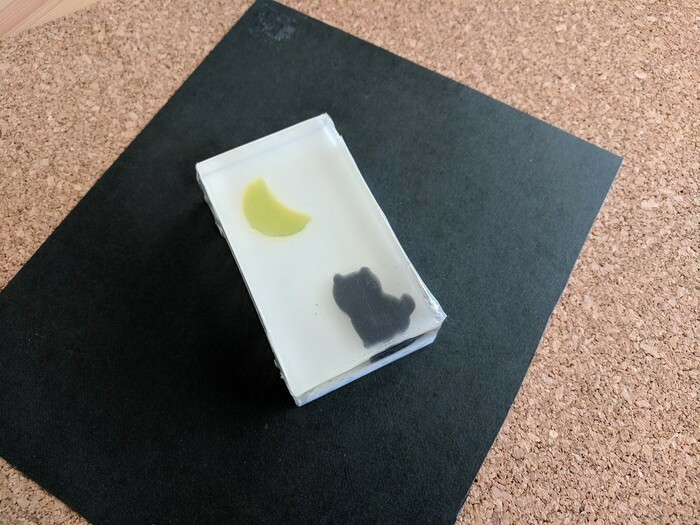 Palm Free & SLS / SLES Free Renascent Bath & Body Ultra Clear & Goats Milk Soap Base (Water, Propylene Glycol, Sorbitol, Sucrose, Coconut oil, Olive oil, Sunflower oil, Glycerine, Sodium Myrisate, Alkyl Polyglycoside, Sodium Sarcosinate, Stearic Acid, Goats Milk), Activated charcoal, Fragrance, Pigment.